Increase the size of your shower? Many of our clients have discovered over the years that having a large soaker tub or whirlpool is nice for a while, but have found out that their shower gets much more use than the tub. I don't recommend eliminating tubs in place of showers but will recommend that you will probably benefit more by having a larger shower. Large showers are practical and allow the installation of a bench or seat which I know most women would like to have. 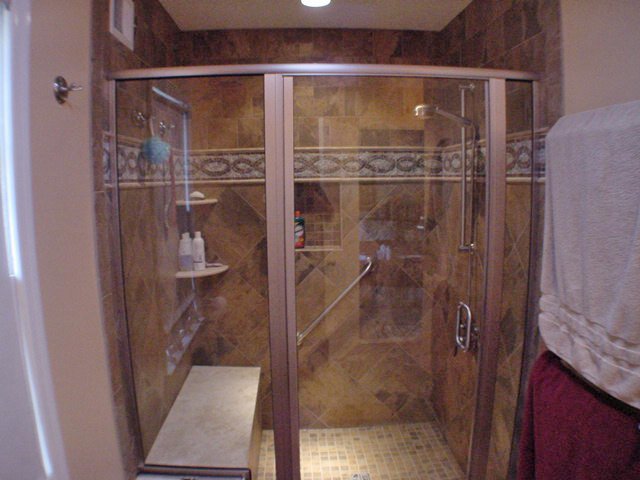 Large showers provide sort of a showcase to the bathroom by often utilizing large tiles with unique designs or deco tiles. Soap and shampoo niches, corner soap dishes along with frameless or semi frameless shower enclosures to provide a clear view of the tiles have also become popular. With the use of stain resistant grout, tiled shower floors are becoming more and more popular which also allows us to design the shower floor to any size without being restricted by pre-formed shower bases. 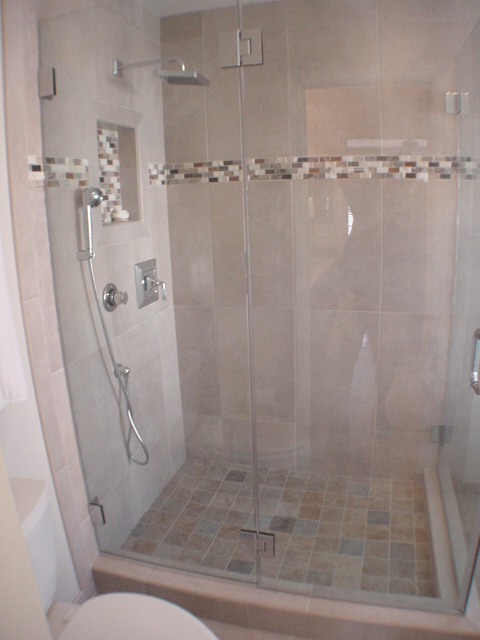 Below are a couple of examples of the showers we recently have completed for our customers. Give us a call for your free estimate today! 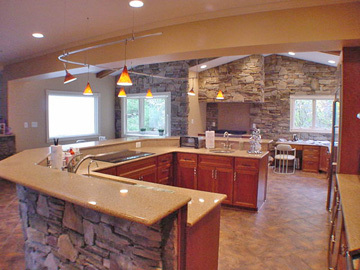 Lately, I have seen a new trend in kitchen remodeling become even more popular. 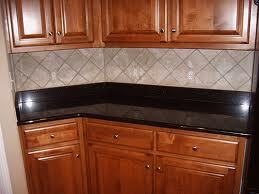 Tiled kitchen backsplashes have lately become more and more popular in the last few years. With a new variety of colors and materials available there is a huge variety of choices to choose from to help highlight your new kitchen. Below are some photos of the possibilities to include tiles which can help contrast various colors, stamped copper tiles, decorative tiles, glass tiles or a mural design. All of these possibilities are ways for you to bring in the colors or contrast into your new kitchen. This is generally a good time for those who have been thinking about remodeling their kitchen or bathroom to start the process. The kids are back in school and the house is empty most of the day. Kitchens and bathrooms remain the top remodeling project to recoup your investment when it becomes time to sell your home and in the meantime, you get to enjoy a new kitchen or bath. CWC through Showplace Wood Products is also offering a $20 rebate on every cabinet or 50% off any species upgrade from oak. It's not unusual to save over a $1000.00 on a kitchen order. This offer will expire on January 1st. Why are Great Rooms Becoming So Popular? Over the past several years I have noticed a trend in the remodeling business. 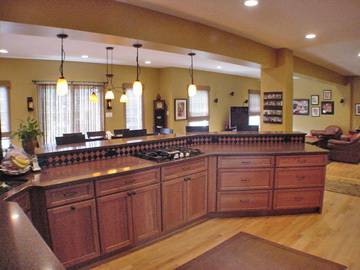 Many of our customers are interested in having us design a kitchen to become part of a great room. Let's face it besides the family room most of us spend a fair amount of time in the kitchen, whether or not it's to fix a meal, entertain guests or simply spend some time reading we all like to be in the kitchen. 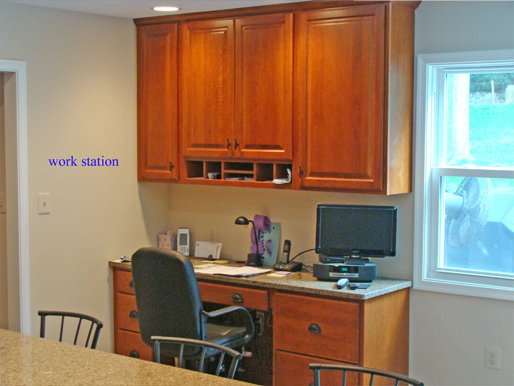 Many of our clients request that we incorporate work stations as part of the kitchen remodeling project so that the kids can do their homework while Mom or Dad can keep an eye on them or have a place nearby to lay down the mail or pay bills. Having these "open" rooms take advantage of space otherwise seldom used, especially dining rooms. Clients with small kitchens will often sacrifice having a dining room and request that we remove the dining room wall and incorporate the dining room as part of the new kitchen design. Here is a sample of work station as part of the kitchen cabinetry. The really cold weather is right around the corner. We already have had a colder December than usual and I wouldn't be surprised to see a very cold January and February, but there are some simple things you can do to help keep your home warm. 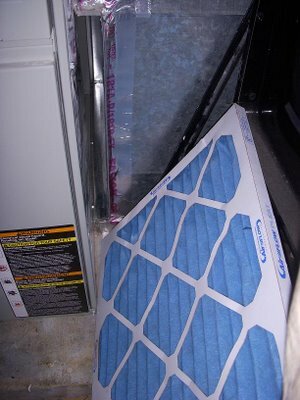 1) Make sure your furnace filter is clean and change it at least monthly. No need to work your furnace any harder than it has to. If you are having any interior remodeling projects completed, check it every other day and be prepared to replace the filters weekly. Running the fan in the furnace constantly (especially if you have a variable speed furnace) will also help keep the rooms at an even temperature. 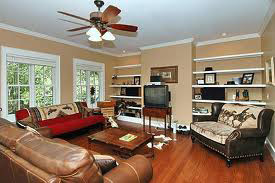 2) If you have ceiling fans in your rooms, it's a good idea to run them constantly on a low setting. It doesn't really matter whether or not they run in either direction as the air around it is being displaced in either direction. This will help eliminate some of the "cold spots" in your home and keep a even temperature in the room. 3) If you have a humidifier in your home, time to run it. Running the humidifier will help put moisture in the air and will make your furnace work less to keep your home warm. If your not fortunate enough to have a humidifier built into your furnace you can always set up a crock pot with water in it to help put moisture in the air. 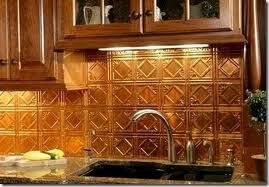 A really nice way to add appeal to a kitchen is to have a tiled backsplash. With all the new selections of wall tile available there are endless amount of designs which can be created to help tie-in cabinetry color to countertops and floors. Many patterns are available if you really want to get creative. There is a photograph of a kitchen we recently completed which incorporated an interesting design pattern in the backsplash which created a really nice focal point behind the range. Visit our current projects to take a look. 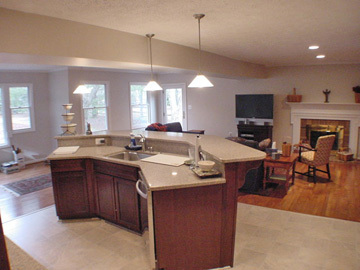 Most of our clients who contact us are interested in increasing the size of their kitchen. People like to have kitchens which contain islands, work stations and room enough that when four or five people enter, it's not crowded. More and more people tell us that when ever they entertain, many of the guests end up in the kitchen. Why is this? Is it because that's where the food and drink are or is the kitchen simply a place where people feel comfortable? Kid's often at a young age start doing their homework on the kitchen table where mom or dad are close by to help. What ever the reason, today's kitchen are generally spacious. We already know that your best investment when updating your home are kitchens, so give us a call and see what CWC Remodeling can do for you to help update your kitchen to today's standards. A good way to keep your furnace working efficiently throughout the seasons is to keep your furnace filters clean. 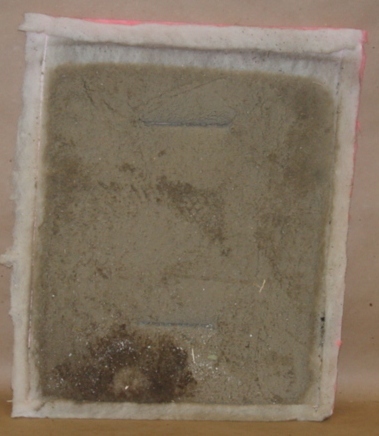 A dirty filter can only make your furnace work harder to blow the air through it. Standard furnace filters are not that expensive but can save you a lot of money in the long run and also improve the performance of your furnace. Filters on average, should be replaced once a month but of course this depends on conditions. If your having any type of remodeling or any other project which can cause dust, it is recommended that you examine and possibly replace them every 2 to three days. If your having any type of remodeling or any other project which can cause dust, it is recommended that you examine and possibly replace them every 2 to three days. Do you have a dark molding bathroom? Do you have a bathroom in your home which doesn't have a window? If you do, then you know how dark it can be even during the day. 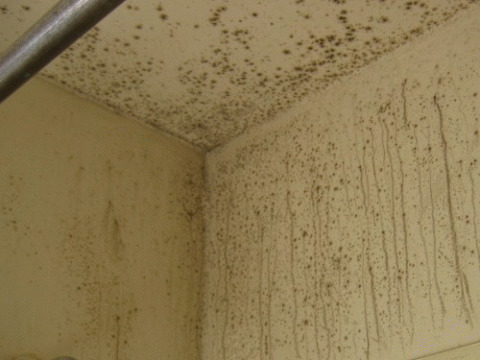 Dark moist rooms are a great environment for mildew and mold to grow. A simple solution may be to have a Veluxe Sun Tunnel installed. A Sun Tunnel will had an amazing amount of light to a dark room with out the high cost of installing a window or a skylight. This natural light will not only lighten a dark room during the day but will help keep mold and mildew at check. 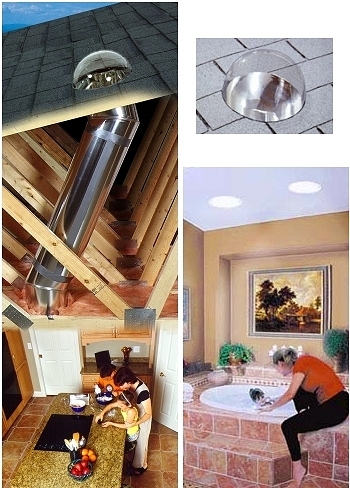 This photo shows how the Suntube works and how it will look in the room as well as how it will look outside on the roof. Visit their web site below to learn more. How many of you have rooms where you could use a Murphy bed? Murphy beds are a great way to have a spare bedroom without committing to using most of the space for the bed. Showplace Wood Products has already started production of a variety of Murphy beds now available. Below is a link to learn more. Now that the snow has finally melted it's time to see how your home has weathered the harsh winter. Many of you experienced ice damming this past winter which often causes drywall damage. Water seeps back into the house from the overhangs as described in last weeks tip. 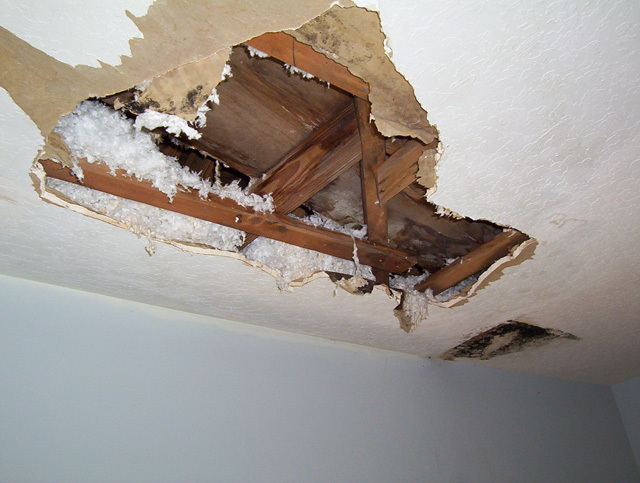 Although not a huge problem wet drywall ceilings are unsightly and need to be repaired. You should make time to inspect the exterior of your home to include gutters and downspouts and all exterior wood. 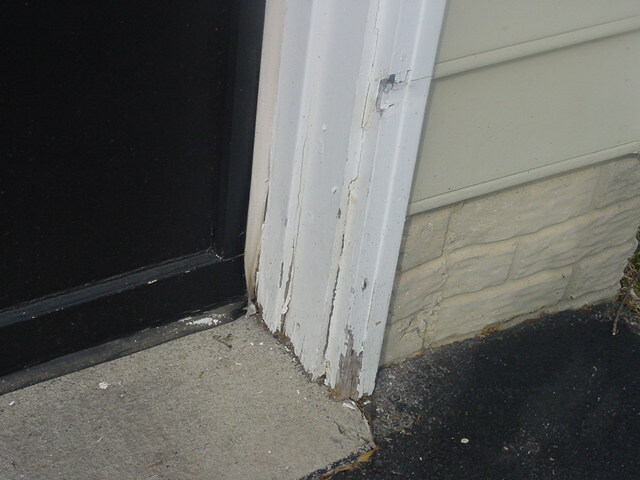 Water and ice will destroy wood trim if not properly caulked and painted. Gutters may have begun to pull from the fascia due to all the weight of the ice damming. Don't put off these repairs too long as we still need to go through the month of April where history will tell you we will get a lot of rain. In poorly insulated homes, warm air escapes through the ceiling and into the attic. If ventilation inside the attic is also inadequate, all that warm air has nowhere to go. Result: the roof's temperature starts to creep up higher than the outdoors air temperature, causing accumulated snow on the roof to begin melting. Water then trickles down the slope of the roof until it once again hits a cold patch, usually the gutter. There it refreezes, gradually forming a dam that prevents runoff. Additional melting snow, having nowhere to go, starts seeping inside the house -- and that's where the homeowner's headaches begin. 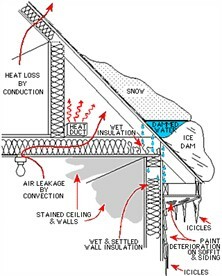 The only way to permanently eradicate ice dams is not to warm your roof up (with heating cables) but to cool it down with better insulation and attic ventilation. Until then, you'll go right on experiencing ice dams in severe weather. Any other strategy will provide a temporary fix, at best. How many times have you walked across your ceramic tiled floor in the kitchen or bath in your bare feet and experienced a chill from the feet up? 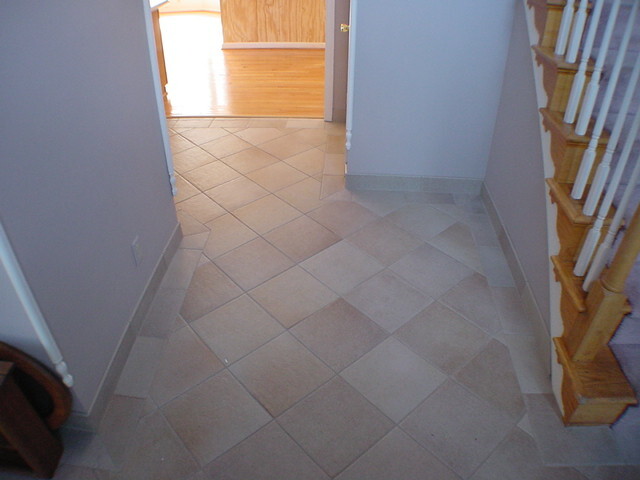 Although ceramic and porcelain tile are a very durable and attractive floor they do conduct the cold air and even more so when the space is over a crawl space area. One way to overcome this chill, is to have a radiant floor heat system installed prior to having the floor tile installed. The system generally is a series of small wires which produce heat when an electrical current runs through them. There are systems which actually can be installed from the underside in case your tile has already been laid. These systems run either on a 120 or 220 volt circuit, depending on the size of the room and can be controlled by a wall hung thermostat which can be programed with a timer to come on and off when desired. Wouldn't it be nice to walk into a bathroom or kitchen early in the morning during the winter and feel a nice warm radiant floor heat from the feet up. 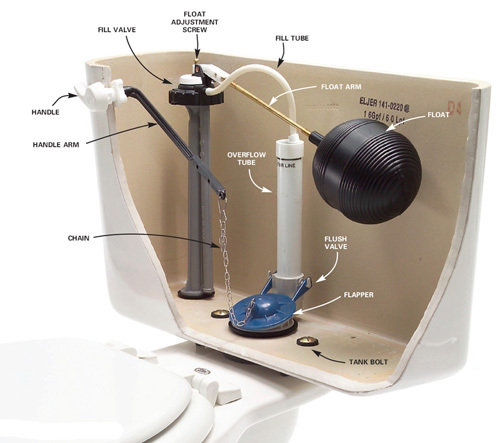 How many of you out there have a toilet which seems like it takes forever to fill back up with water once it's flushed? Well, we had just such the toilet. We literally had to wait about 10 minutes between flushes in order for it to work properly and this can become quite annoying. This valve was almost completely closed with calcium from the water. He cleaned the opening, removing the calcium and toilet ran like it was new again. I have lived in the Washington area for most of my life and will say that the winters have become milder and milder each year, but this is still the time of year that we all need to start getting ready for some of the colder weather. Once we hear the temperature is going to reach freezing (32 degrees) we need to take some precautions to prepare for the harsher weather. One of the most important things you should do is to shut off all your exterior faucets (hose bibs) and drain the valve. 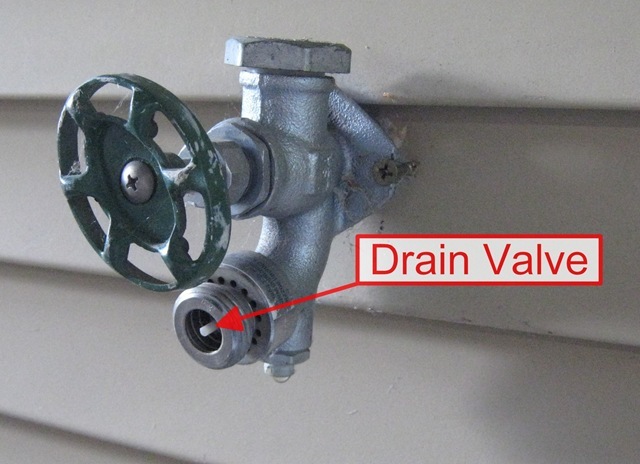 This can be done by first locating all the shut off valves inside your home. 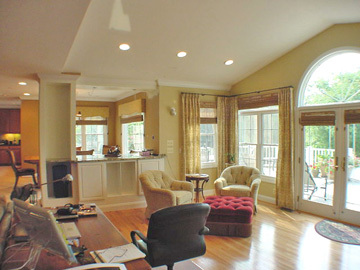 Most homes have a least one toward the front of the house and one towards the rear. One you have shut off the valve (a clockwise turn till the valve stops) you should open the outside faucet to make sure you remove any water in the valve. This simple procedure could save you an awful mess to clean up if a pipe were to freeze and break inside the house where the pipe meets the valve. 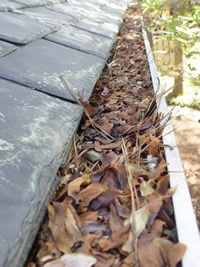 Now that all the leaves have fallen from the trees it's time to clean out those clogged gutters. If you don't, your risking the chance that the gutters will be clogged and will back up. This can lead to water freezing in the gutters causing an ice dam and backing up into the house. Keep your furnace filters clean (monthly), have your fireplace chimney checked and cleaned if necessary and set your humidified to a higher setting to get maximum efficiency from your furnace. All these tips can help you get through the colder months with a problem. In today's economy there is an abundance of unlicensed contractors who are selling their services. What does this mean to you the consumer? A few of the most important concerns are 1) generally these companies who aren't licensed with the state don't have Workman's Compensation or Liability Insurance. If one of their workers gets hurt on your property, you are liable, not them. If as a result of their work they damage any of your property, again your insurance will be responsible, not theirs. The Maryland Home Improvement Commission has a fund called the Guarantee Fund. This fund is there to pay another contractor to finish the project in case your "licensed contractor" can't finish the work, for what ever reason. Ask your contractor for his Maryland Home Improvement license number (MHIC #) and a copy of his insurance to protect your investment. There are many things you can do in your home to stay cool during these very hot August days and here are just a few you may want to try. Keep windows and doors closed as much as possible while operating your air conditioning. You are only letting in the hot air every time the doors or windows are opened. 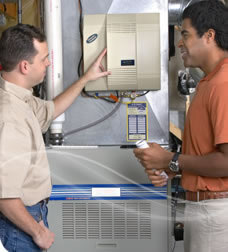 Keep your furnace filter clean, change monthly. This will keep the flow of cold air at it's maximum and take the strain off your ac unit. Run ceiling fans in all your rooms at a low to medium speed. This helps circulate the air in your home keeping the house at a constant temperature. Keep all unnecessary lights off. Incandescent lights put out a fair amount of heat which you don't need. With the economy slowing down like it has contractors, subcontractors and venders are offering their best prices to stay competitive, obtain work and increase sales. If you have a project which has put on the back burner due to the cost, it may be a good time to have it priced once again, you may be surprised and save yourself some money. What type of flooring is best for our new room addition? Many of our clients aren't sure what type of flooring they should have installed in their new room additions. They like ceramic tile, but aren't sure whether or not it might be too rough on the knees. Carpet is a possibility, but should I be concerned about traffic patterns. Hardwood is nice but will it hold up if we have pets. 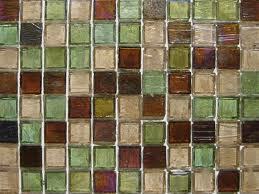 This week I'm going to address ceramic tile as a possibly for flooring in a new addition. 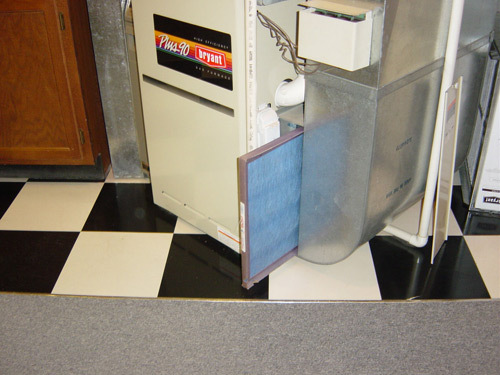 I generally tell our clients that if the new space is over a "crawl space" area which is unconditioned space we don't recommend ceramic tile unless a radiant floor system will be installed. This system will alleviate the cold radiated from the tile in the winter months and add comfort from the ground up. If the new space is over conditioned space (heated and cooled) than ceramic can always be a possibility without this system. Ceramic can be tough on the knees if prolonged standing is a possibility like in a kitchen so we will generally recommend a small carpet be laid in front of the sink area, this can take some of the strain off the knees. Ceramic and porcelain tile are both durable, but make sure you have the gout sealed when it's laid. This will really help keep the grout clean and make clean up a breeze. What better time to start freshening up your home with a fresh coat of paint on some of those rooms which haven't been painted in years. Many large remodeling projects have been put on hold due to our economy, but there are some things you can do to freshen up and give a new look to your home. Painting some of those rooms you have lived with for many years are probably ready for a fresh look with a fresh coat of paint. 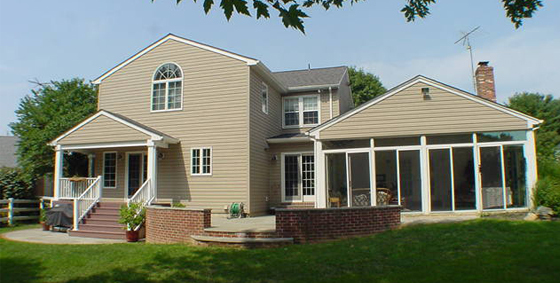 CWC Remodeling, Inc. offers very competitive prices for interior and exterior painting and all estimates are free. Give us call today for yours! 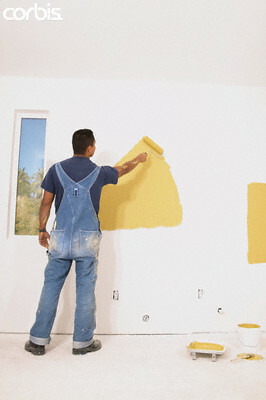 Adding a coat of new paint is one of the easiest and least expensive ways to freshen up and revitalize your home. In addition to helping create a sense of space or coziness in the room, using color is a great way to express your individual style and personality. I always tell our clients to buy a quart of the color of paint they may be considering. 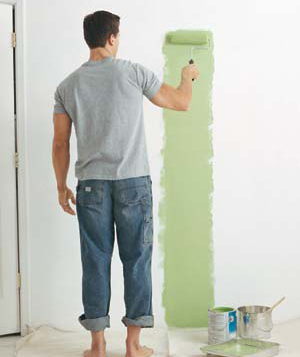 Apply the paint on a 4' x 4' area in the same room you're planning to paint and let it dry. This will help you be confident that you are selecting the "right" paint for you. If you're considering selling your home, it is still smart to select classic or neutral paint colors. They have the broadest appeal to buyers and will help your home sell for the highest possible price. 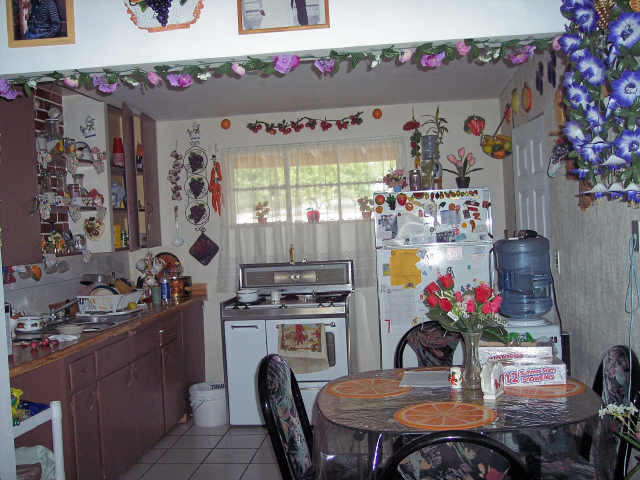 Is it Time To Update The Kitchen? We as Americans tend to spend as much time in the kitchen of our homes as we do the family room. Especially when entertaining guests, most of us congregate to the kitchen, maybe it's the food and drink being close by or maybe it's we just feel comfortable being in this room. 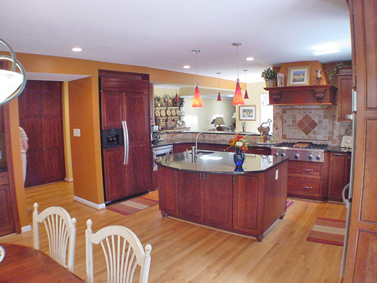 Take a close look at your kitchen, are the cabinets outdated? Is space being wasted? Are the countertops old and showing signs of wear? 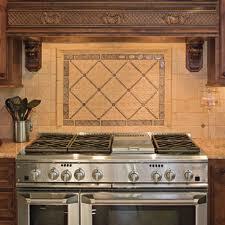 Are the appliances in need of replacement. Do you have enough space to work and entertain? Odds are if you don't live in a new home and your kitchen is 10 years or older you probably have answered yes to one or more of these questions. 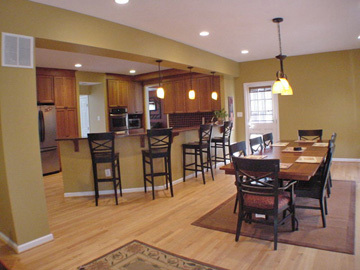 Remodeling your kitchen will give you the best return for your investment dollar, more than any other room in the house. Maybe it's time to invest in the most occupied room of house and update your kitchen to meet the current needs of your family and at the same time reap the benefits of your investment when you finally do sell your home. Now that spring is here it's a great time to inspect the exterior of our homes for wear due to the cold winter months. 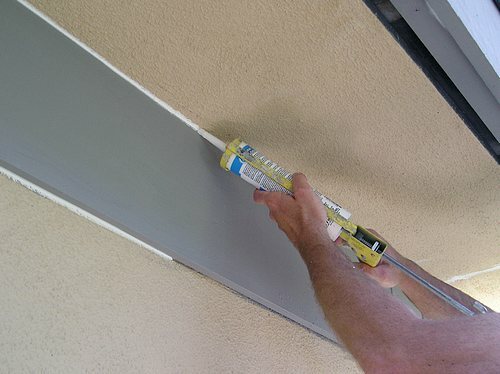 Check all painted and caulked surfaces for signs of wear to include paint pealing or fading and caulk separating or shrinking. You'll want to make these repairs as soon as possible to keep water from causing any damage, and thus costing you additional money. Check around the foundation of your home for signs of dirt settling around the perimeter. There should be a noticeable grade away from the house to help water drain away from your home and not back into the basement or foundation. Also, check to make sure drains and downspouts are not blocked or clogged, again keeping water away from your home. Not too much attention is ever given to roof shingles. I see many homes in my travels where the house is in dire need of replacing the shingles. Most homes have been built using builder grade roof shingles which will last between 20 - 25 years depending on weather conditions and locations. Homes which are surrounded by trees generally will need to have the shingles replaced sooner. How do you know if your roof shingles are in need to be replaced? The small pieces of colored gravel which help make up the shingles wear off over time and a visible discoloration can usually be seen, often from the street. Another sign of wear are shingles which start to curl up at the ends. 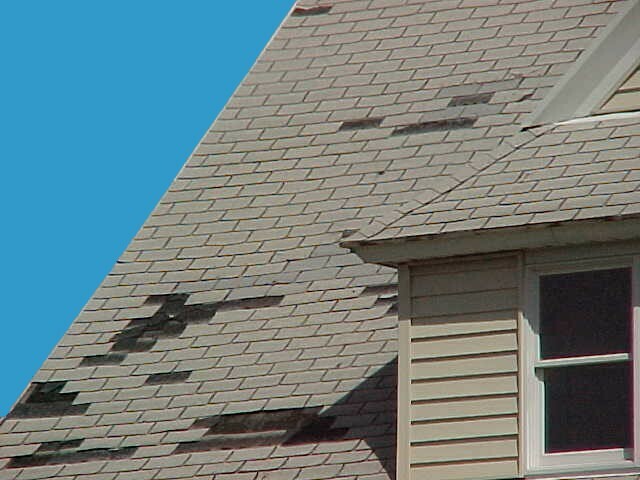 This too can often be visible from the street. . Shingles become very brittle over time from the hot and cold weather and will start to crack and pieces will often fall off. Ignoring this situation can only lead to more expense to include water damage to roof sheathing, roof framing members or even drywall. If you know it's been a long time since your shingles have been replaced or you have seen some of the signs of wear mentioned above maybe it's time to protect your investment and give us a call and we'll be happy to provide you a free estimate. Clients often ask me what should they do to fix up their home to sell it. I usually respond, that unless the bathrooms and kitchen are in bad shape not to spend money in these areas, leave these rooms for the new buyer to remodel. Their tastes may often be different from yours. If these rooms are in dire need of an update, try and stay conservative with the remodel using neutral colors and a moderate but practical design. A fresh coat of paint and new carpeting can always spruce up a home to be put on the market and get good results, leaving the remodel for the new owner. It's also a good idea to check the condition of the subfloor after removal of the old flooring. A new floor can only be as good as it's base. If there is damage to the subflooriing it should be replaced prior to installing any flooring. Getting a new floor whether it's ceramic, hardwood, laminate or any other product can always add beauty to a room. One important issue to make sure that your contractor follows when installing a new floor is make sure that the old flooring is removed down to the subfloor prior to adding any type of new flooring. Taking a "short cut" and installing a new floor over an old floor can cause many issues. One of the main issues is when trying to extend the flooring into another room sometime down the road floor levels really should match. If your new flooring has been installed over the old flooring a height difference will be an issue. I have seen beautiful hardwood flooring installed right over old flooring, raising the overall height of the flooring the thickness of the new flooring plus the height of the old flooring. This floor level can't be matched unless there is a build up of material over the subfloor prior to extending the new flooring into other rooms. 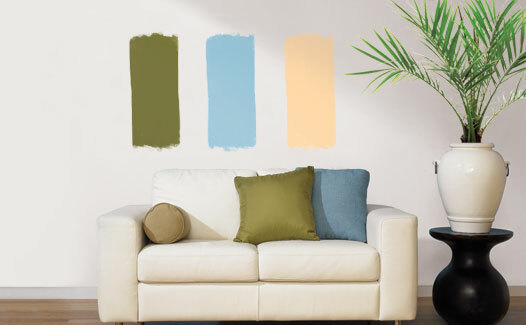 Selecting the color of paint to finish off a room can be as important as the furniture you select to furnish the room. Rooms which lack natural sunlight can use a pastel or brighter color to help reflect the artificial light used to light up a room. In rooms which have an adequate amount of natural light you can tend to choose darker colors. If your doing the painting yourself, be prepared to apply several coats of paint for those darker colors and be sure to use a good quality sealer prior to painting. The darker the color, the more coats of paint you will need to cover the wall completely. 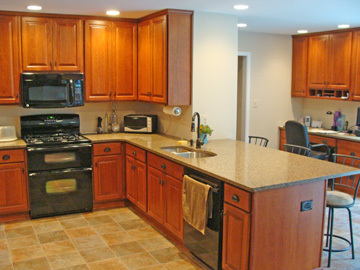 Many of our clients ask us what material are most people using in their kitchen floors when remodeling. I would say that the majority of our clients are using either hardwood flooring or a laminate. Although ceramic and porcelain tile can be very attractive and is often used where there can be water spills, it can be quite hard on the knees when standing on it for prolonged periods of time. Tile is also unforgiving, when a plate or glass is dropped, there is a good chance that not only will you break the glass but often there will be damage to the floor. If the kitchen area is over a cross space area we always recommend having a radiant floor system installed. Tile conducts the cold very well from the floor and can make the room uncomfortable. With three coats of polyurethane or a factory finish (pre-finished hardwood) you'll be good to go for some time. The floor can be refinished up to three times with a span of about 5 - 7 years between each refinishing. Many of our clients have us finish their basements and want to create an additional bedroom to the home. Although adding an additional bedroom to your home can be a good idea, especially for resale value, there are a few code requirements you should be aware of. As in a bedroom on any other level of the house a proper egress needs to be met in order for the room to be considered a bedroom. Code requires that there must be at least either one proper egressible window or an exterior door in the bedroom. 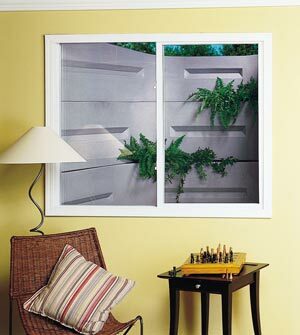 The bottom of the window must be 44 inches or less from the bottom of the floor and there should be a minimum of 5.7 square feet opening when the window is open. A 36" wide by 24' tall opening will meet code or any other combination which will provide the 5.7 square feet and proper height off the floor. If the basement is below grade we often will create a window well (with ladder) to grade to allow us to install a window which will meet code. Winter is approaching, and you've probably already noticed that it gets dark a little bit earlier every evening. Here are ways to make your home look brighter and bigger during winter's dark days. New light fixtures help you increase light without the expense of installing doors or windows. Accent lighting makes dull rooms appear elegant and small rooms seem larger. 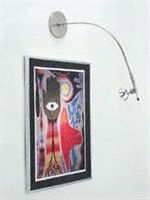 For a room with a dark wall, hang pictures and light them with halogen spotlights. This "photo gallery" adds warmth and is a great way to brighten a narrow hallway. Using full spectrum light bulbs is place of incandescent bulbs brightens a room by providing light that is similar to sunlight. You can also warm up a room using color. Studies show that pinks and greens are calming, while darker colors such as red can cause agitation. Neutral tones create harmony. Bright colors should be used as accents in pillows, artwork or flowers. 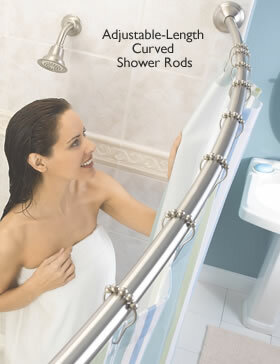 A inexpensive but nifty way to create more space in your shower is to replace your existing shower rod with a curved rod. I first experienced one in a hotel and was impressed by the extra space created by having a curved shower rod. These are available at your local home centers and cost around $50.00. There are many projects which can improve the overall appearance of your home without spending a fortune. I have often told our clients that first impressions are usually powerful ones. Certainly, curb appeal can leave a favorable taste in your mouth when looking at homes. Lately, many of our customers have had us replace their builder grade front entry doors with a new insulated door made by Masonite, http://www.masonite.com/productpages_EntryDoors.php. Masonite offers a variety of entry doors and combinations which immediately improve the appearance of your home. Most installations are completed within a day or two. So whether your fixing your home up to sell or just simply tired of that old builder grade door you currently have you may want to consider a simple solution to an on going problem and simply choose a new front door to enjoy. 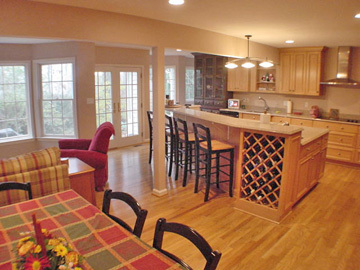 This is the time of the year where a lot of our clients start thinking about kitchen and bath remodeling. Many don't know the amount of time it takes simply to plan this type of remodeling. Many choices need to be made in order for a contractor to put together a complete proposal and include these items in his contract. Generally, when items haven't been selected a contractor will insert an allotment to cover the cost of these items. Here is a list of some of the items you should start thinking about with regards to both a kitchen and bathroom remodeling project: Cabinetry, Countertops, Flooring, Fixtures, Lighting, Appliances, Tile (Ceramic / Porcelain) Shower Doors and Paint Colors. As you can see many decisions will have to be made as the planning process takes place. Take your time, research the items your interested in and talk to your contractor to include your choices in his contract. Here are some simple tips to help you avoid a fire in your home. Protect your tender plants by adding an extra layer of mulch. Consider this similar to that cozy warm blanket you like on cold nights. If you have thoughts about relocating plants around your garden, do so now. The plants are dormant so the shock will be greatly reduced. Make sure to prepare the soil correctly by mixing in lots of good organic matter. Don't forget to shut off your hose bibs from inside the house, open the outside valve and drain your hoses and put them away. 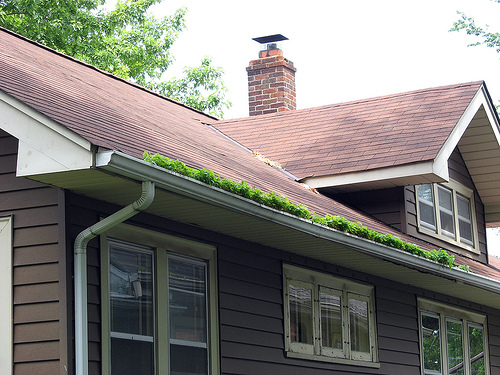 Sometime after all the leaves are down, make sure you clean out your gutters and downspouts. 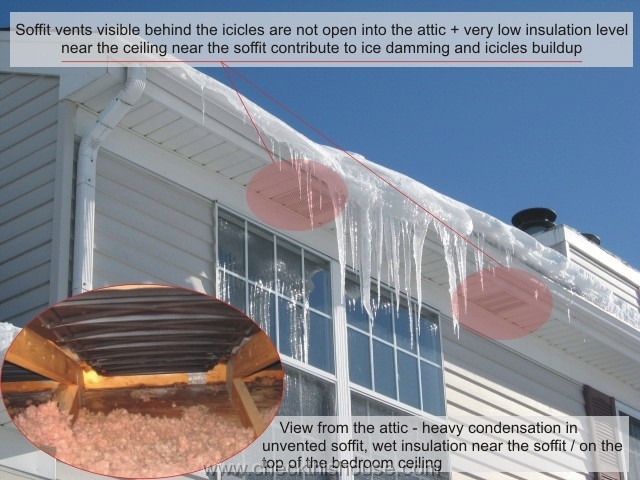 Ice damming is a main cause of interior damage. After your last mowing of the year, run your mower until it is completely out of gas. Old gas can really damage engines. Here are some simple tips to help you avoid a fire in your home. Do you really want to be the General Contractor? Before you decide you want to be the general contractor of your project you may want to consider some of the following facts. scheduling county inspections and meeting the inspectors to check the project and checking the work of the subcontractors and be available to them for any questions which they have during their work..
All of these areas require an enormous amount of time and when you hire a general contractor these areas are part of their duties. So, if you have the time, knowledge and skill you may consider giving it a try, otherwise, leave this work to the GC and let him earn his dollar and in the long run things will run much smoother. How do you decide which contractor to hire? How did you hear about the contractor? Was the contractor easy to work with, flexible to changes? Did the contractor provide good quality workmanship? Did the contractor offer ideas of their own? Did the contractor keep the job site neat, clean and safe? Have you had any problems with the project after completion and were those problems, if any handled in a timely manner? Did the contractor keep good communications with you throughout the entire project? Was the contractor fair with regards to all changes? Would you hire the contractor again for another project? Many of us who were planning to sell our homes in the near future and stepped back and reconsidered due to the change in the housing market. The average price of homes have dropped up to 20% in Montgomery County therefore not making it the best time to put your home on the market. Due to this change, many of us are planning to stay in our homes longer than anticipated. This opens up the opportunity to plan and complete the remodeling project you may have been thinking about. With interest rates continuing to drop there may not be a better time to take out that home equity loan and remodel that kitchen or bath you once were considering. CWC Remodeling, Inc. will soon have a new web site. We will continue to showcase current projects, as well as update our portfolio as well as adding some interesting new features. We have been working with a excellent local interior designer by the name of Suzanne Wasser. She can assist homeowner's in making those sometime difficult decisions as to selecting fixtures and other materials used in remodeling. We will be featuring Suzanne's contact information in the new site but in the meantime, if you need her services she can be contacted at Suzanne Wasser Interiors, Inc., 301-738-8194, email suzannewi@comcast.net, cell phone: 301-257-0488.